At Modern Essentials, we have a clear responsibility to our customers and employees. However, we believe that responsiblity extends to the communities we serve and the planet we call home. In short, we want to leave the world a little better than we found it. Therefore, we have teamed up with Network for Good to donate 2% of every purchase to the charity of your choice. That's right. For every purchase that you make, Modern Essentials will donate 2% of your order amount to the charity of your choice. This is not some special offer in which the fine print states the total dollar amount of the company's donation is capped at some paltry amount or expires in a few weeks. This is different, because Modern Essentials is a different kind of company. We will donate 2% of your order total to charity. Period. And how can there be an expiration date on doing the right thing anyway? So here's how it works. 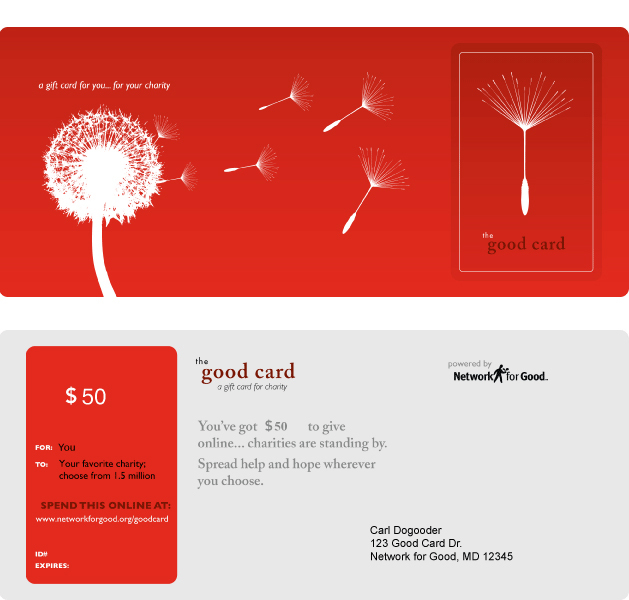 Within 7-10 business days after placing your order, you will receive a Good Card via email. Then go to www.NetworkforGood.com and select from one (or more) of 1.8 million charities -- from the Wounded Warrior Project to Autism Speaks to your local PTA. It's that easy. As a company, we want to do the right thing, and are thrilled to have you join us in that effort.